Rim the glass with celery salt by first dipping it in lime juice followed by the celery salt. 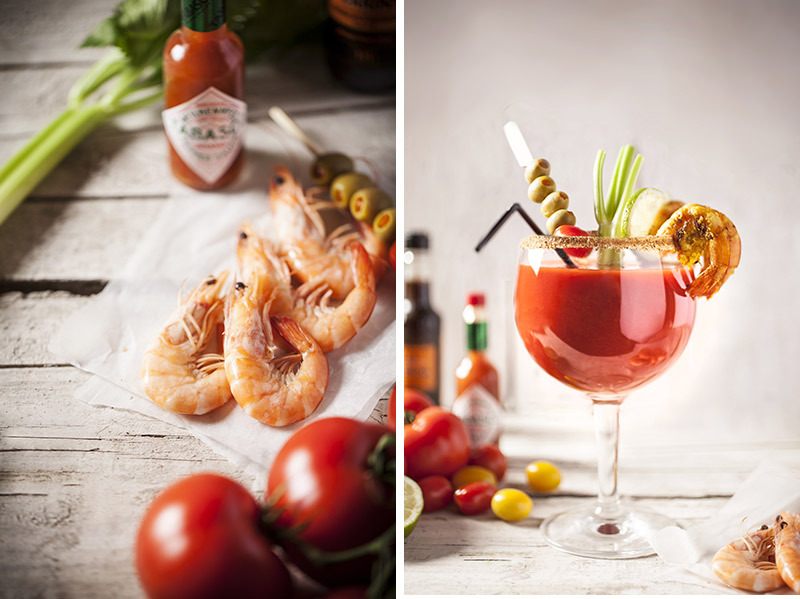 Combine the tomato juice with the Worcestershire, Tabasco and horseradish over one ice cube in the glass. Garnish with lime, celery and grilled shrimp. Tip: Vodka or half vodka/gin is good for an alcoholic option to this drink.